The Australian Drilling Industry Association represents individuals, businesses and associated organisations that operate in the mineral exploration, mining, water well, geotechnical and environmental sectors. Membership of the Association is diverse, with over 750 members encompassing small owner-operators to large multinational organisations. 65% of contractor members employ less than four personnel, while 27% employ between five and 50 people. The remaining 8% are large contractors, some employing up to 500 staff. 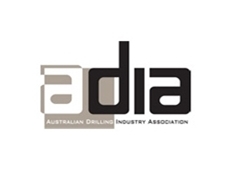 The Australian Drilling Industry Association defines its mission as "to provide professional and technical leadership in the advancement of the drilling industry." act as the spokesperson for the membership we represent at conferences, seminars and appropriate forums, both within Australia and overseas. The Australian Drilling Industry Association also publishes a bi-monthly magazine, Australasian Drilling, which it describes as the public face of the Association. Some 4,400 copies of the magazine are distributed throughout Australia and New Zealand, SEA, North and South America, Canada, Africa and Europe. The Australian Drilling Industry Association annual conference provides exhibitors and suppliers with an opportunity to mingle with customers, with presenters covering topical issues that include both business management and technical subjects.